8 a.m. on Wednesday, Oct. 10. It’s 34 degrees outside, so what did I do? Bad, because I didn’t go to the gym. Honest, Jacob and/or Sarah, if you are reading this: I WILL COME LATER TODAY. Good, because it gave me a chance to watch some “Morning Joe” on MSNBC. That enabled me to watch Donny Deutsch ask something about which I’ve been wondering: Does Mitt Romney color his hair? Everyone at Joe and Mika’s table laughed at Deutsch and moved on to another subject. But I’ve wondered the same question for a while. Call it the envy of a bald 46-year-old who started losing his hair at least 20 years ago. Can a 65-year-old man really have such perfectly coifed jet-black hair with such an artful touch of gray in his sideburns? I guess it’s true. 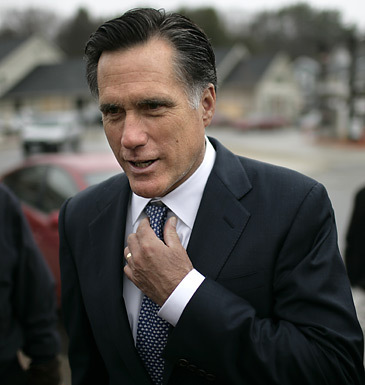 The New York Times, the newspaper that many of Romney’s supporters love to hate, last year interviewed his barber, Leon de Magistris, whom the Times described as a 69-year-old “barrel-chested, bald Italian immigrant.” He has styled Romney’s hair for two decades. And Magistris insists that Romney neither colors his hair nor uses any product to keep that hair helmet perfectly in place. If that’s true, it’s comforting. Sure, I may be making a mountain out of a molehill. But I don’t think I could trust a man who would devote some much time, attention and resources to his hair. Of course, I was recently castigated for the poor condition of my 19-year-old black wingtips. So my credentials as a schlub are firmly in place. As for me, I stopped spending money on haircuts years ago, when the barber charged me full price — $15 — for a buzz cut. I got up from his chair, paid him, drove to Wal-Mart and bought a $25 pair of clippers. Haven’t paid since then for a haircut, which is just one of the millions of reasons why I’ll never be president of the United States of America.